Lee Strauss has a new cover! Seventeen year old Zoe Vanderveen is a GAP—a genetically altered person. She lives in the security of a walled city on prime water-front property along side other equally beautiful people with extended life spans. Her brother Liam is missing. Noah Brody is a natural who lives on the outside. He leads protests against the GAPs and detests the widening chasm they’ve created between those who have and those who don’t. He doesn’t like girls like Zoe and he has good reason not to like her specifically. Zoe’s carefree life takes a traumatic turn. She’s in trouble and it turns out that Noah, the last guy on earth she should trust, is the only one who can help her. PERCEPTION is a ( SF/mystery/romance) Young Adult novel that takes place in the not too distant future in a world changed by climate extremes, natural disasters and impending wars, and where scientific breakthroughs cause class divisions—both financially and philosophically. It explores the clash between faith and science and how differences can separate us as enemies or alliance us together. And in some cases, even in the midst of betrayal and personal crisis, there’s room to fall in love. This is the first book in a planned three book series. You can "like" Lee Strauss on facebook and mark Perception to read on goodreads. PERCEPTION will be for sale on Amazon and at other e-retailer stores SEPTEMBER 12! Lee Strauss has a new cover! Seventeen year old Zoe Vanderveen is a GAP—a genetically altered person. She lives in the security of a walled city on prime water-front property along side other equally beautiful people with extended life spans. Her brother Liam is missing. Noah Brody is a natural who lives on the outside. He leads protests against the GAPs and detests the widening chasm they’ve created between those who have and those who don’t. He doesn’t like girls like Zoe and he has good reason not to like her specifically. Zoe’s carefree life takes a traumatic turn. She’s in trouble and it turns out that Noah, the last guy on earth she should trust, is the only one who can help her. PERCEPTION is a ( SF/mystery/romance) Young Adult novel that takes place in the not too distant future in a world changed by climate extremes, natural disasters and impending wars, and where scientific breakthroughs cause class divisions—both financially and philosophically. It explores the clash between faith and science and how differences can separate us as enemies or alliance us together. And in some cases, even in the midst of betrayal and personal crisis, there’s room to fall in love. This is the first book in a planned three book series. 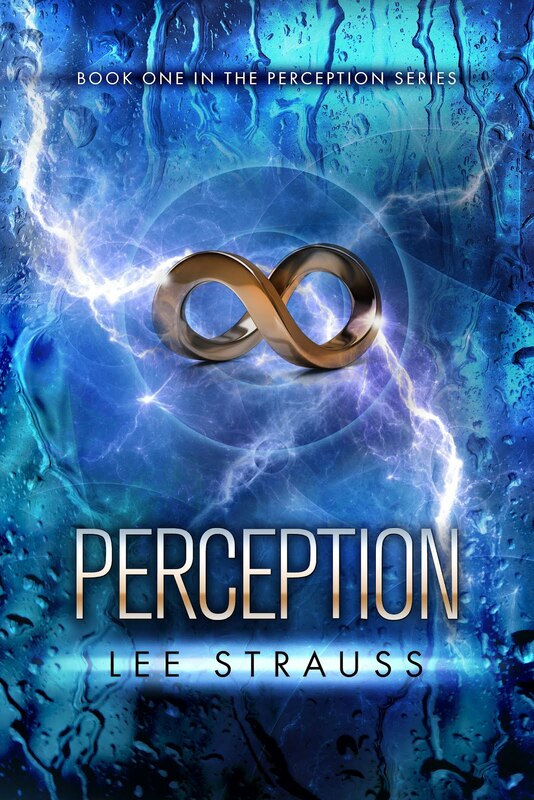 You can "like" Lee Strauss on facebook and mark Perception to read on goodreads. Lee Strauss is also known as Elle Strauss (for her lighter, lower YA titles) You can find her at www.ellestraussbooks.com PERCEPTION will be for sale on Amazon and at other e-retailer stores SEPTEMBER 12!